A Dhaka court has issued an arrest warrant against BNP Chairperson Begum Khaleda Zia in a case filed for calling the ruling Awami League "a party of atheists." Dhaka Metropolitan Magistrate Mohammad Jasim issued the warrant today. 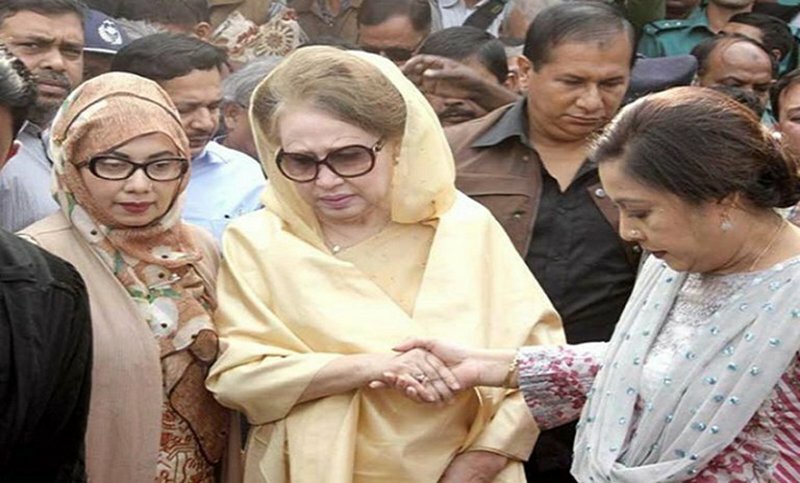 The court also fixed February 18 for submitting Khaleda's arrest related documents. Earlier on October 14, while addressing a programme in the capital's Institution of Engineers, Bangladesh, the BNP chief said: "AL doesn't believe in secularism but in atheism." She further said "secularism is AL's mask and it is the ruling party that attacks religious communities whenever it gets a chance." She said the ruling party's professed secularism was nothing but a sham. Following the statement, AB Siddique, president of Bangladesh Jananetri Parishad, a pro-Awami League organisation, on October 21 filed the case. Khaleda's remarks have hurt the religious sentiment of Muslims, the plaintiff said in his complaint.